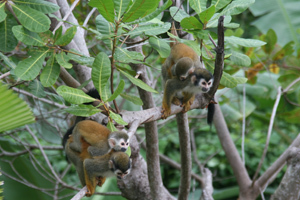 As Pacific Lots of Costa Rica, we represent the largest developer of residential property for expats in Costa Rica. These developments are one of the largest international residential communities in the entire country. 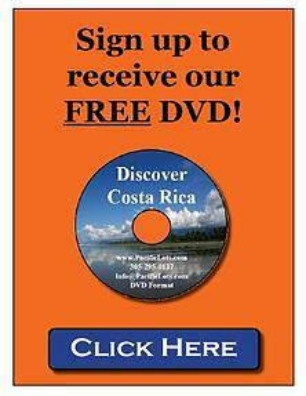 Pacific Lots is the marketing firm for Window to the Pacific (Ventana Del Pacifico) and that is the only Costa Rican real estate project we represent. 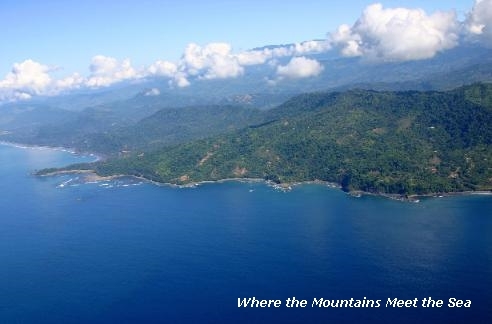 They are one of the oldest developers in the country, selling improved land and building lots with spectacular ocean views as well as building custom homes for our clients in Costa Rica. Currently employing over 300 workers primarily in the building trades they have their own staff of engineers and architects, builders, craftsmen, plumbers, electricians, masons and heavy equipment operators as well as a rental and property management team. The company offers fully improved lots and home sites complete with roads, artesian well water and electric to each site. Although you are welcome to build your own home or hire any builder of your choice, we offer custom home building services to our clients and nearly all of our clients use us to build their home. We only offer our construction services to customers within our own developments. 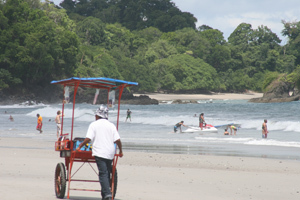 We are located in the southern Pacific coastal region of Costa Rica, one of the nicest parts of the entire country. The town of Ojochal is a fairly stenuous walk at about a mile from most of our phases. The steepness of our terrain make walking pretty challenging, with many of our phases located 50 stories or more above town. Most owners use ATV's or small SUV's to go to town, the beach or shopping. The town is a village and does not have a center like you might picture but there are over 30 bars and restaurants within the village but they are scattered on various roads located throughout the town. The issue therefore is that there is not really a center that you might walk to and not everything is located there. The grocery store is there, a few smaller stores but most of the restaurants are scattered on side roads. Another issue is that we are not in a flat area and most of our developments are up the hill and between 400 and 1000 feet above sea level even though they are all within a mile or two of the beach. So the issue is that although it is an easy walk down into the village, the walk back up will be like climbing up 50 or more stories in a mile or two. Most people in town have ATV's or drive. The next town over from us has a bunch of commercial plazas, supermarkets, farmers market, banks, furniture store, appliance store. We have a large garden center and hardware supply in town but we are more a residential community and the commercial stuff is in the town of Uvita next to us. We like it that way.... Click here to see a summary of property taxes, HOA fees and covenants in our developments. Are there resale's in town? Although we have hundreds of homes in town, there aren't many homes on the secondary market in our developments (as of January 1, 2013) that I am aware of. One is a 3/2 2200 square feet, home with nice pool, a covered outdoor eating area in natural stone tile and a carport listed for $299,000 in Tropicos Verde. We do have a resale agent we work with so if you want to come view resale's, let me know. We can't/don't show resales on our Discovery tours since the tours are supplemented by the developer who is trying to sell new homes. We recently got a listing for a home in phase 2, great ocean views but a bit dated, asking price is $450k. Since we have not yet listed the house in phase 2 yet, interested parties should contact me directly for more information Steve@PacificLots.com. We also have a storage facility in San Isidro, (about 45 miles from our developments) on 3+ acres with 30 storage units on a fully fenced lot including a 3 bedroom 2 bath home and a large area planted with 300 medera amerillo trees (yellow bark trees) that is in "Fire Sale" mode since a large mortgage payment is due in September 2013 that the owner will not be able to make due to the fact that the husband of the couple that built the facility recently passed away. You'd need to speak Spanish to make it work but the yellow bark trees should be worth between $600,000 and a million dollars in 20 short years and the storage facility is badly needed in the area. Resale's typically sell for more than we could build the house for, we refer to it as the "supermarket" mentality, people who don't want to wait for a house to be built or don't have the vision. We have seen many houses in our developments sell for more than twice what we could reproduce it for. We tend not to get many resale's since the rental market is strong and people don't pay much in taxes on rental income so they prefer to keep the houses and rent them versus selling them. 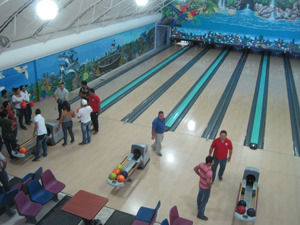 You can see some rentals in our developments are http://www.vrbo.com/navigate to central America, choose Costa Rica, find the town of Ojochal and you can see both the rates and the calendar of availability to see how well they are doing. We have a rental program that we run in house as well. On VRBO you will see some that rent very well and others that have little activity. It is a factor of how old the house is, where it is, what the view is like, how well the owners have "amenitized" the house (things like wheelie coolers, boogie boards, vonage phone, a PC with wireless internet) as well as how long the house has been renting and therefore developed a following. Some houses are always rented, some (mostly houses we did not build or are in the village and not in our developments) have poor rental performance. Location, location, location and quality. Carrying Costs of Homes in our developments - Charges depend on what phase you are in, some have none, the most expensive is probably less than $500 per year. Taxes run less than 2% per thousand in value but it is "declared value" which is typically less than actual or market value. A $300k home typically pays less than $600 per year in tax. There is a new luxury tax on homes valued over $172k as of November 2009. Is Financing Available?- We finance the land portion and won't let you build on the home site until the land is paid for. We finance up to 3 years but that is not a very long time period. The interest rate goes down as the down payment goes up, with interest rates as low as 5%. We also offer a 5% discount for cash payment (versus financing). We won't let you build on your home site until it is completely paid for but once you own the land, we have a number of banks that will lend nearly 100% of the cost of construction up to 15 years at fixed interest rates in the 5% to 6% range as long as you have decent credit.